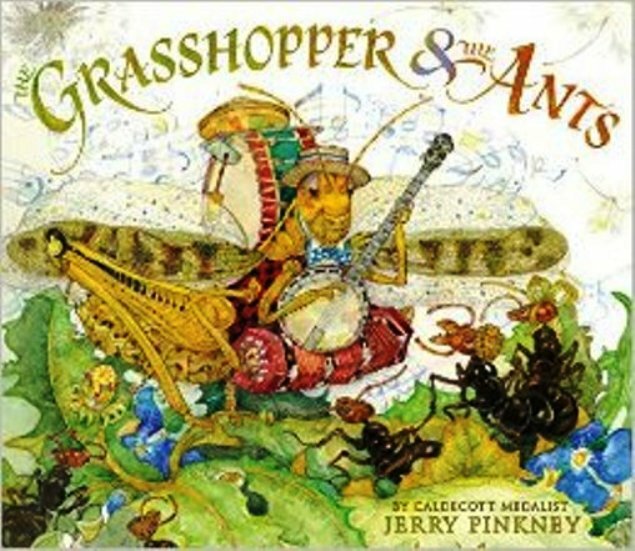 “Never put off until tomorrow what you can do today.” That’s the theme of Caldecott Medalist Jerry Pinkney’s eye-popping new picture book, The Grasshopper & The Ants. In the book, a fun-loving, music-loving, leisure-loving grasshopper just can’t figure out why his ant neighbors are always so busy. After all, there are fish to catch and picnics to attend. There is also an unending supply of music to dance to. Yet no matter what enticement the grasshopper suggests, the ants just can’t be swayed. Undaunted, the grasshopper lounges around, plucks the banjo or leaps across the falling leaves with never a care. Until a harsh winter descends upon the land, that is. Suddenly, the grass is gone, the leaves have blown away and mounds of snow cover everything. Poor Grasshopper suddenly finds himself homeless, hungry and all alone. Now he must depend upon the kindness of strangers to take him in and feed him, all because he failed to plan for his future. This visually-stunning re-telling of an old fable is a definite collector’s item. In his signature “Pinkney Style”, Mr. Pinkney offers his generous illustrations even BEFORE the reader opens to Page One, gracing the inside cover with a glorious explosion of forest foliage and other grassy goodies that spell an insect’s paradise. From there, each spread is covered top to bottom, left to right with illustrations of the photogenic grasshopper in various poses, richly-detailed right down to the bony ridges on his spindly legs. The ants are equally as detailed and — thankfully — have kid-friendly faces that should inspire even the most avid homebody to head outside for a backyard safari. This book is great for any art classroom, and can be used as a story-starter for discussions about procrastination, ignoring distractions and planning for the future. 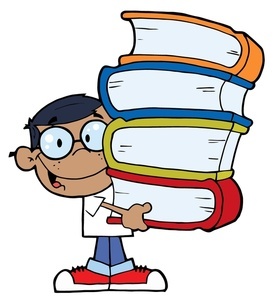 It is also the perfect addition to Mr. Pinkney’s other masterpieces, namely: The Tortoise and The Hare (Little, Brown, 2013); Twinkle Twinkle Little Star (Little, Brown, 2011);and The Lion and The Mouse (Little, Brown 2009). Previous articleThe Flying Hand of Marco B.